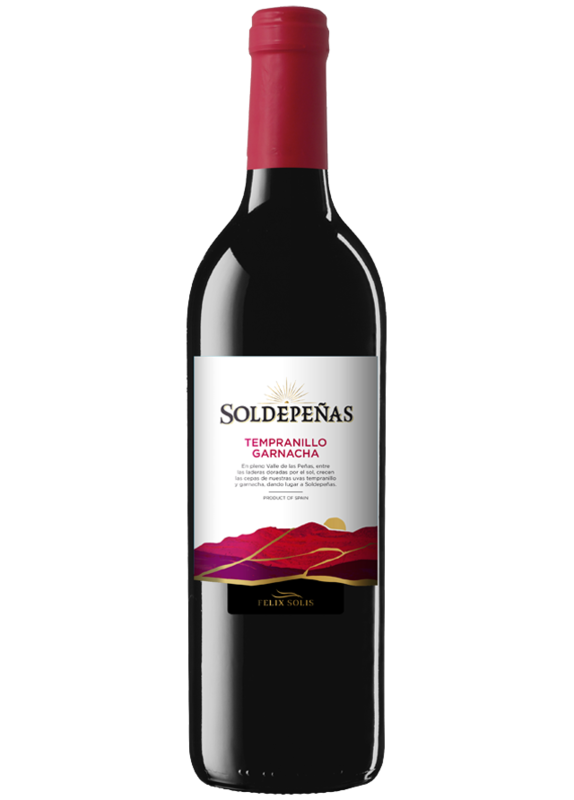 Red Soldepeñas takes its name of the place where it is made: the sunny Valley of the Stones, old name of Valdepeñas, the valley of the river Jabalon. The wine is made of tempranillo grapes, the autochthonous grape from Castilla- La Mancha. Elegant garnet red color with fruity aromas. On the palate has a pleasing and harmonious aftertaste. It is consumed with all kinds of meals, especially rice, meat sauces and stews. Grapes undergo strict controls in the vineyards to decide the correct moment to be harvested and transformed into a wine with the right amount of sugar and acidity. Must remains in contact with skins for 2-3 days. Fermentation is done in stainless steel tanks at 22-22ºC C and the result is a fruity and balanced wine.